The PKI 1800 is a comprehensive and state-of- the-art end-to-end solution for monitoring, processing, analysis and dissemination of intercepted telecommunication interactions. Due to rapid structural changes in worldwide telecommunication systems a solution integrating all such tasks is provided by the PKI 1800. It offers facilities to monitor ISDN, Digital, PCM30 transmissions as well as all other forms of communication whether they be voice, fax, modem, radio communication or other data transfer. Based on a single, unified platform, PKI 1800 handles all kinds of telephone and Internet data and thus offering unprecedented features. It provides security agencies with flexibility, reliability and versatility in signal intelligence interception and analysis. The PKI 1800 combines all these facilities to comfortably managing unlimited amounts of intercepted communications together with instant target information by just using a minimal amount of space and manpower. 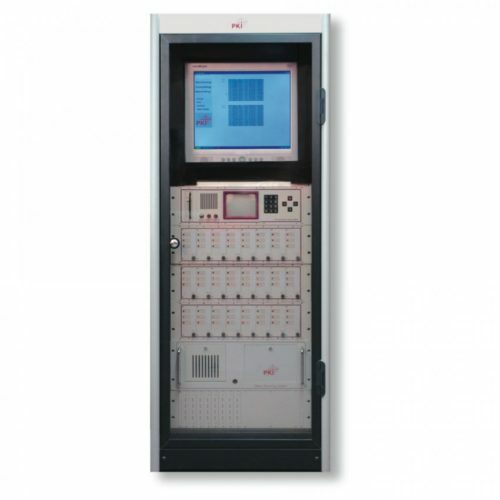 The major feature of the PKI 1800 is its flexibility and extraordinary storage capacity, linked to its ability to instantly recall, via the displayed data management target software, intercepted target telephone calls without interrupting the digital tape recording and archiving process. This enables the operator to either carry out interception and playback from one system, or optionally via a separate playback unit. This means that highly classified and priority interception can be configured for transfer by authorised users on a real time basis to a selected location ensuring that the right persons are informed on time. 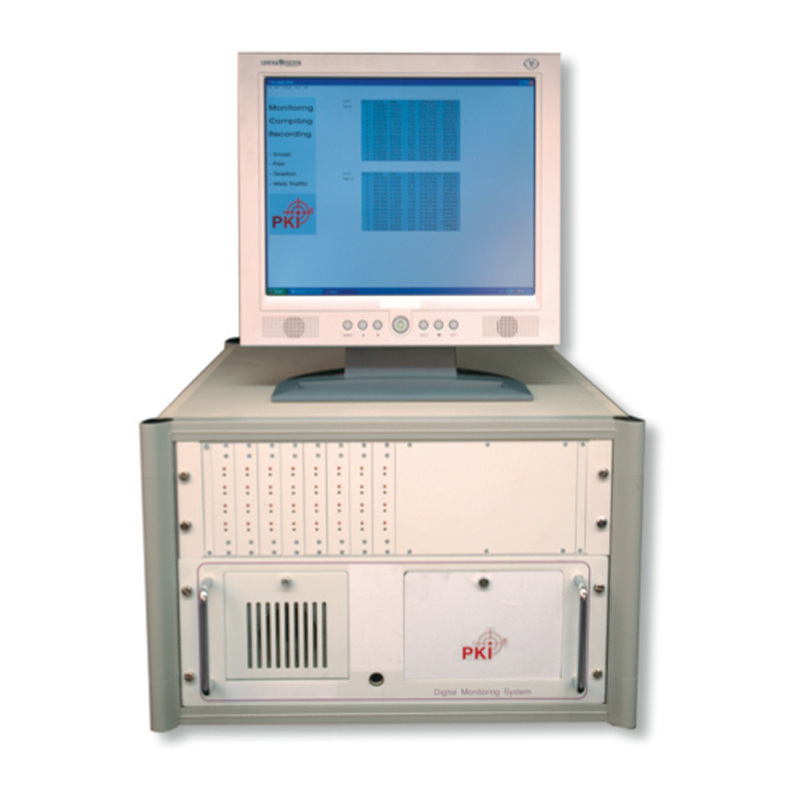 The PKI 1800 is available in several versions, depending on the number of channels and end-users monitoring requirements, from minimum 8 channels to 64 or max 128 channels. The major criteria of the PKI 1800 software is to display all information immediately and to enable instant evaluation, thus dramatically reducing the time needed, compared to time-consuming evaluation of reel or audio tapes. The software is known as the target evaluation and configuration interface (TEC) which is installed onto the delivered workstation. The sophisticated menu provides optimal guidance for selection/viewing and processing of large quantities of data. The TEC software has one control menu and 4 submenus being linked to user’s authorisation key code. They are easiliy accessible and can be seen at a glance on the display monitor. Upon entry to the main control menu selection, the user will see – displayed on the screen – the current channel status which provides activity information as well as remaining tape time, disk end time and selection for the 4 submenus via the preprogrammed password. The configuration menu enables the user to select and change the technical charateristics of each channel depending on the input conditions. 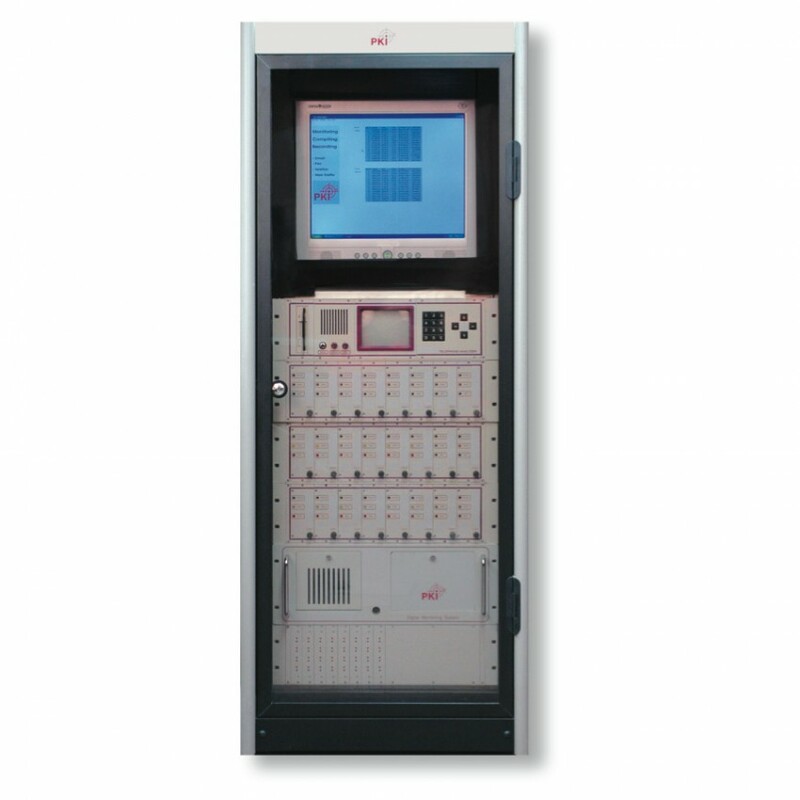 This enables the PKI 1800 to monitor telephone interception from various types of exchanges and radio communication input channels simultaneously. The optional extras available include the digital playback unit which recalls earlier recordings either directly from the DAT cassette of the PKI 1800 or from archived versions. It is an essential accessory to the PKI 1800. Housed in a standard desk top PC with built-in 4 channel voice card, hard disk and loudspeaker the digital playback unit is used for a number of applications. Usually used as a playback unit for evaluation of recorded data it alternatively can be used as a mass storage facility for archiving or as a supervising position. It incorporates the standard PKI 1800 software enabling instant recall and evaluation. The intercepted data is loaded onto the digital playback unit from the DAT cassette or linked to the PKI 1800 for automatic download. The unit can be installed with one or two DAT drives, enabling the evaluated data to be downloaded onto the 2nd drive with the non-essential data being ignored, cancelled or simply kept on the 1st DAT for archiving. The optional extras include a built-in fax and data interception system plus a transcription interface.